Brazilian Health minister Ricardo Barros admitted in Brasilia on Tuesday that local patients prefer to be treated by Cuban doctors working with the More Doctors program rather than by Brazilian physicians, as they stressed the strong commitment of the island´s professionals. 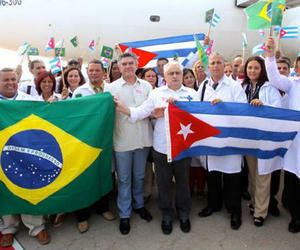 The Cuban doctors are all day at the order of the people; they work from eight to six, including Saturdays and Sundays and this particular attention makes the More Doctors program be favored by 95 percent of the people, said the minister at the Municipal government of the locality of Curitiba. Cuba joined the More Doctors program in 2013 at the request of the Dilma Rousseff government and with the participation of the Pan-American Health Organization.